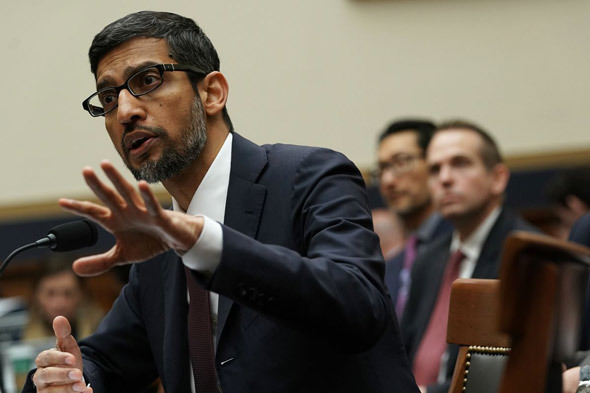 A leaked internal post from Google appears to show that the tech giant has “huge teams” of staff dedicated to manipulating search results, which directly contradicts the sworn testimony given to Congress by CEO Sundar Pichai. The post – written by Daniel Aaronson, a member of Google’s Trust & Safety team – was leaked to Breitbart News and discusses how the company is working on manual interventions in search results.“There are subjects that are prone to hyperbolic content, misleading information, and offensive content,” says Aaronson. “Now, these words are highly subjective and no one denies that. “But we can all agree generally, lines exist in many cultures about what is clearly okay vs. what is not okay,” the Google staffer continues. According to Breitbart, the comments came to light in a leaked internal discussion thread, started by a Google employee who noticed that the company had recently changed search results for “abortion” on its YouTube video platform, a change which caused pro-life videos to largely disappear from the top ten results. Aaronson listed three areas where either manual interventions or classifier changes might take place: organic search (“The bar for changing classifiers or manual actions on spam in organic search is extremely high”), YouTube, Google Home, and Google Assistant. The intervention caused pro-life videos to disappear from the top ten search results for those terms, where they had previously been featured prominently. 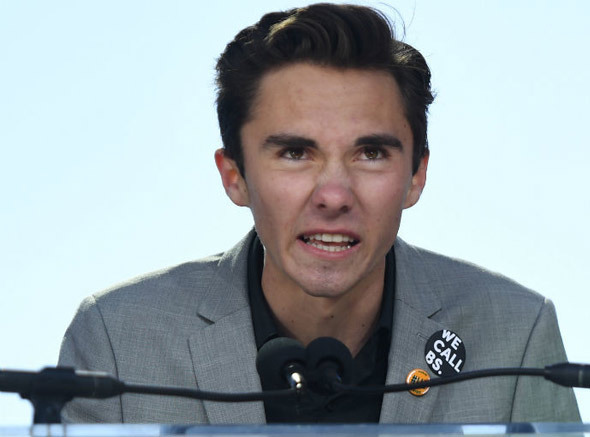 The posts also show YouTube intervened on search results related to progressive activist David Hogg and Democrat politician Maxine Waters. 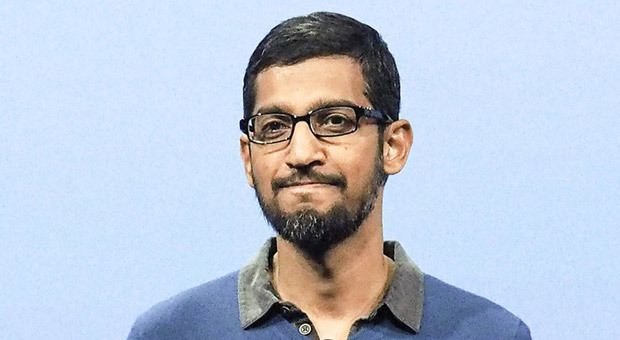 Pichai might claim that he was just talking about Google, not YouTube, which was the focus of the leaked discussion thread. But Aaronson’s post extends to Google’s other products: organic search, Google Home, and Google Assistant. If Google has “huge teams” that sometimes manually intervene on search results, it’s scarcely plausible to argue that Pichai might not know about them. I work in Trust and Safety and while I have no particular input as to exactly what’s happening for YT I can try to explain why you’d have this kind of list and why people are finding lists like these on Code Search. While my second example is technically relevant to the generic query of “suicide”, that doesn’t mean that this is a very useful or good video to promote on the top of results for that query. So imagine a classifier that says, for any queries on a particular text file, let’s pull videos using signals that we historically understand to be strong indicators of quality (I won’t go into specifics here, but those signals do exist). We’re not manually curating these results, we’re just saying “hey, be extra careful with results for this query because many times really bad stuff can appear and lead to a bad experience for most users”. Ideally the proactive lever did this for us, but in extreme cases where we need to act quickly on something that is so obviously not okay, the reactive/manual approach is sometimes necessary. And also keep in mind, that this is different for every product. The bar for changing classifiers or manual actions on span in organic search is extremely high. However, the bar for things we let our Google Assistant say out loud might be a lot lower. If I search for “Jews run the banks” – I’ll likely find anti-semitic stuff in organic search. As a Jew, I might find some of these results offensive, but they are there for people to research and view, and I understand that this is not a reflection of Google feels about this issue. But if I ask Google assistant “Why do Jews run the banks” we wouldn’t be similarly accepting if it repeated and promoted conspiracy theories that likely pop up in organic search in her smoothing voice.Whether we agree or not, user perception of our responses, results, and answers of different products and mediums can change. And I think many people are used to the fact that organic search is a place where content should be accessible no matter how offensive it might be, however, the expectation is very different on a Google Home, a Knowledge Panel, or even YouTube. Info (as you can imagine, decisions/agreement would be hard to get in such a wide list – image if all your CL’s were reviewed by every engineer across Google all the time). I hope that answers some questions and gives a better layer of transparency without going into details about our “Pepsi formula”. Breitbart Tech will continue to investigate Google’s manipulation of search results on both its search engine and the YouTube video platform. 2018: The Year That The Establishment Wanted Tommy Robinson Murdered!